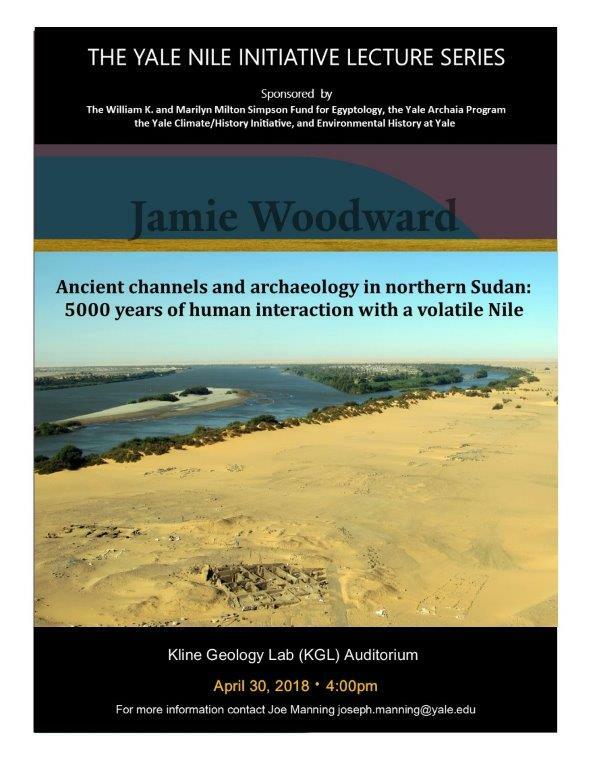 I'm thrilled to be able to continue to bring outstanding scholars to Yale (thanks to generous funding from the Simpson Egyptology Endowment Fund in the Department of Near Eastern Languages and Civilizations) to discuss various aspects of Paleoclimatology, environmental history and the history of the Nile river. Each lecture will begin at 4 PM and take place in the Auditorium of KGL, the Kline Geology Laboratory Auditorium. ​I'm really excited to be able to bring these outstanding scholars to Yale this Spring. Each lecture will begin at 4 PM and take place in the Auditorium of KGL, the Kline Geology Laboratory Auditorium. 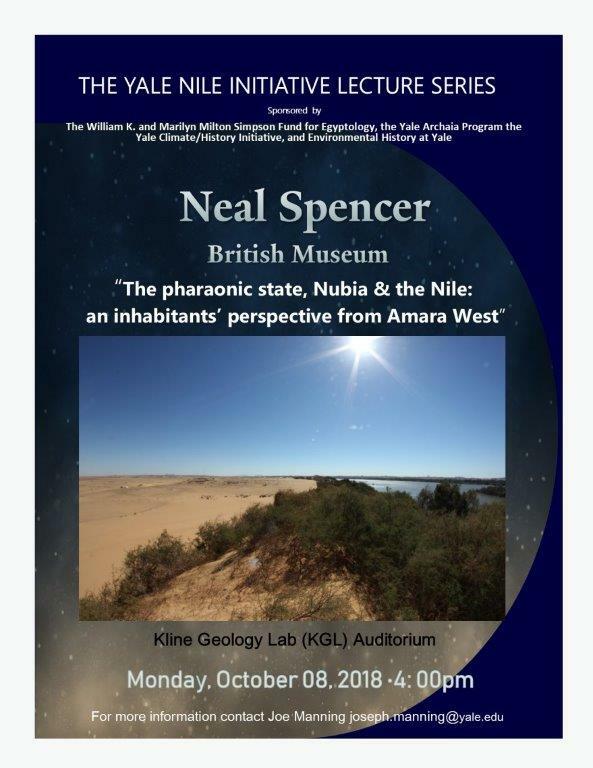 In retrospect, this was a stunning series of cutting edge lectures on geophysical research on the Nile river watershed. I am continuing the series in 2018-2019, so stay tuned for more great lectures. If you don't live in New Haven, consider coming and visiting, these will be well worth the time. And get in touch if you plan on coming.